Yara Jones doesn't believe in sea monsters-until she becomes one. When a hurricane hits her island home and she wakes up with fins, Yara finds herself tangled up in an underwater world of mysterious merfolk and secretive selkies. Both sides believe Yara can save them by fulfilling a broken promise and opening the sealed gateway to their realm, but they are battling over how it should be done. The selkies want to take her life. The merfolk want something far more precious. Treygan, the stormy-eyed merman who turned Yara mer, will stop at nothing and sacrifice everything to protect his people-until he falls for Yara. The tides turn as Yara fights to save herself, hundreds of sea creatures, and the merman who has her heart. She could lose her soul in the process-or she might open the gateway to a love that's deeper than the oceans. First of all, I have to say that this is the ONLY mermaid book I read while writing my mermaid series, because I was initially worried that our stories were going to overlap (with the selkies and all). But I was pleasantly surprised. Not only because our mythology and world building was different (whew), but also because I really enjoyed this story! Karen has created a very magical and ethereal world where the majority of the story takes place under the water in a different land. Yara is not only faced with discovering that she’s been turned into a mermaid, but she also plays an important role in the future of all water creatures. I enjoyed seeing how Karen intertwined the fate of selkies and mer and I really liked the siren mythology. I found that Yara started to grow up and mature throughout the book, and I am really curious to see what will happen with her next. The love story fluctuated back and forth between Yara and Rownan and Yara and Treygan. I was a little surprised with where that went, but not disappointed. 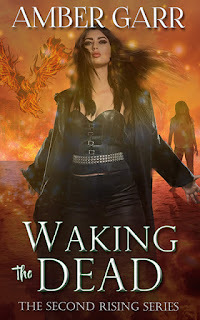 In all, it was a fast read and I am happy to see that there will be a sequel. 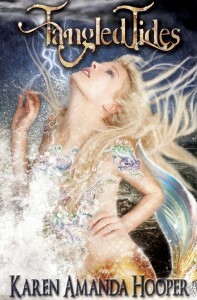 A mythical take on mermaids, great twists on traditional storylines, and a complete tale that I finished in two days. I will admit that the “c-weed” and “seagarettes” might have been what stopped me from giving this five conch. It felt a little too YA in that respect, but it didn’t distract from the overall impact of the story. 4 conch - A quick and enjoyable read that will certainly entertain you. Go mermaids! Yeah, I didn't want to accidentally steal any ideas or have them subconsciously influence my story. Now I'm diving into them. Ha!